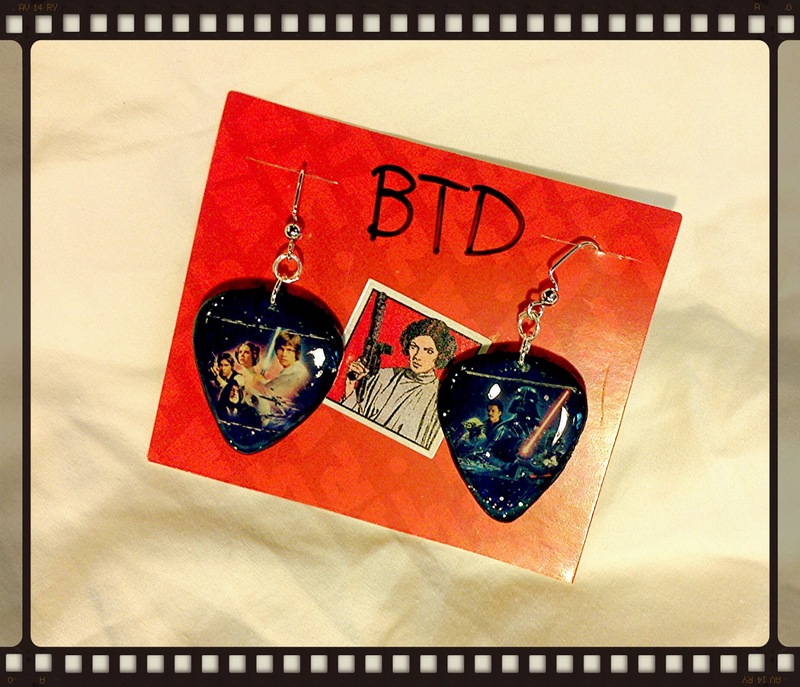 Star Wars guitar pick earrings featuring the light and dark sides of the force! 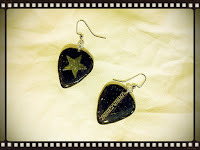 Sturdy galactic black guitar pick pendants painted with holographic glitter! 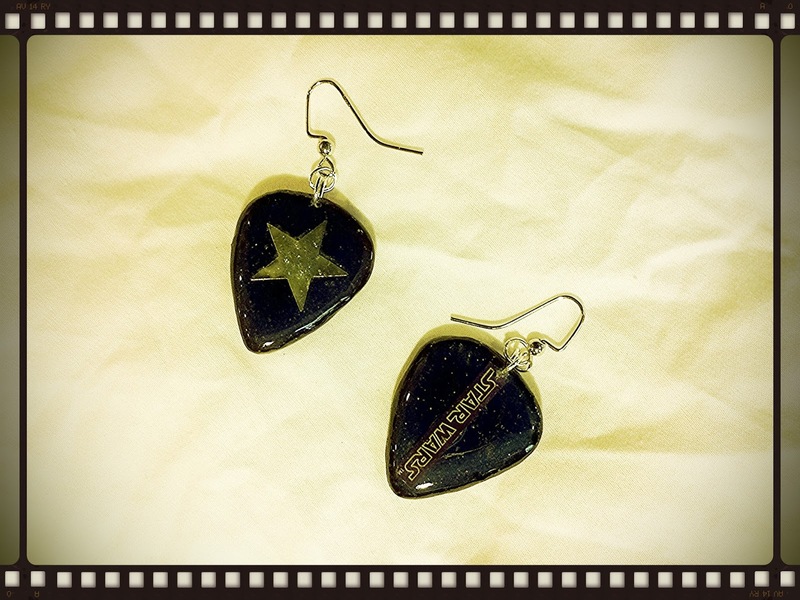 Each earring shows a different side of the force, on the back is a star and the title "Star Wars." Even the red backing has the Star Wars logo with a Princess Leia sticker. 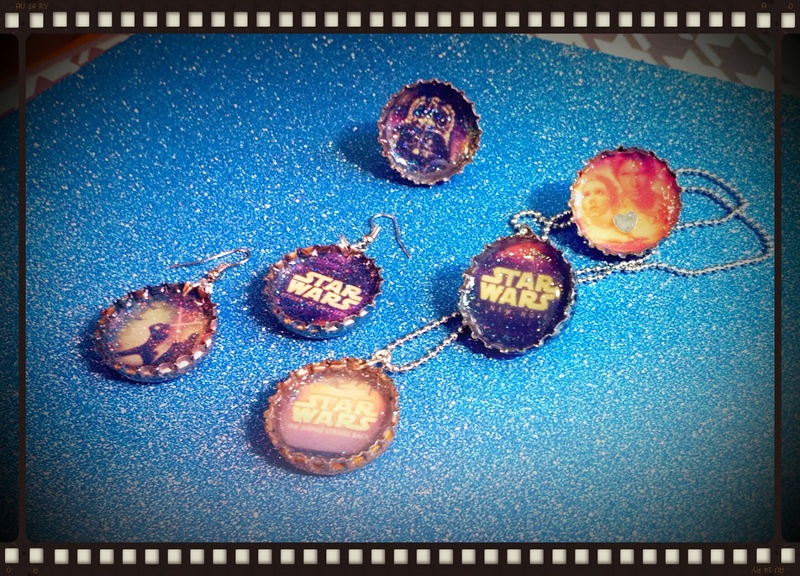 Repurposed bottle cap resin jewelry featuring the Star Wars trilogy! 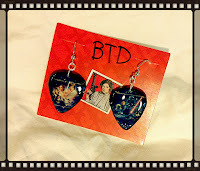 I made two pins, a ring, a necklace and a pair of earrings: Darth Vader Ring, The Empire Strikes Back Necklace, A New Hope Pin, Han & Leia Heart Pin, Return of the Jedi Earrings. 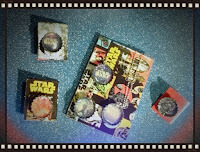 The back side of bottle caps are painted and embellished with a Star Wars sticker embedded inside. 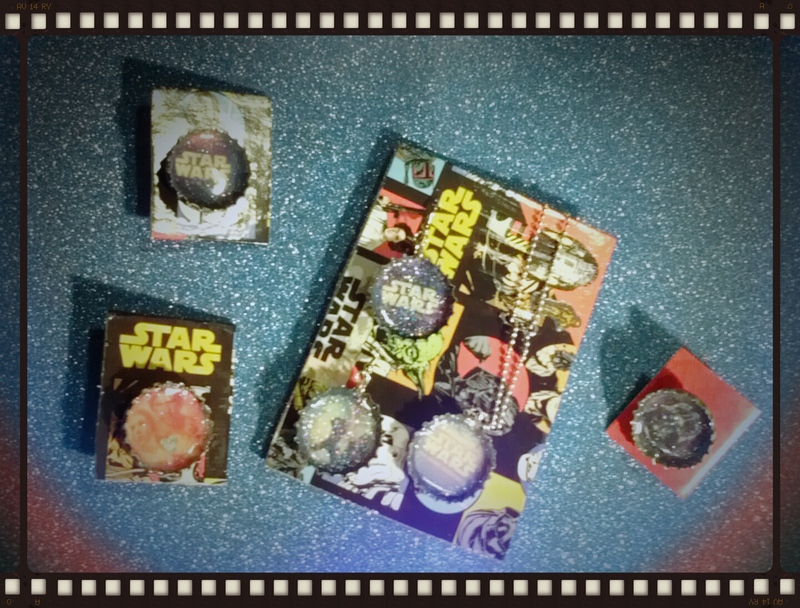 Lots of glitter and VERY galactic!